Welcome to the Summer of Paper series – where we’ve invited fabulous guests to create projects using supplies from my Home + Made paper decor line. I’m Kim from EverythingEtsy.com! In 2008 I took my lifelong love of making things to a whole new level. My husband and I “bet the farm” on a new online business. It worked and now I’m a full-time professional blogger, craft book author, and creative business coach. I blog about Etsy business and all manner of DIY crafty things at EverythingEtsy.com, shares tutorials and inspiring creative ideas at HandmadeandCraft.com, and reveal a more personal side at KimberlyLayton.com. I’m super excited to share some craftiness with you today! It’s that time of year when the school supplies start showing up in the store, and the reality sets in that summer is almost over. Now’s the time to create some fun back-to-school projects! I’ve always been a fan of pretty paper, and I was fortunate to get an awesome supply of Home + Made paper collection designed by Jen! I have quite a few projects in mind for these goodies, but here’s my first one…handmade bookmarks. Handmade bookmarks are so easy to make, and it’s super fun to mix all of the paper designs together to create something just your style. Here’s how you can make a bunch of these in no time! Share them with the little ones you love, or add them to books you’re giving as gifts. They’re a nice little handmade touch of goodness. Gather up you’re beautiful supplies and let’s get creative! Cut your paper 1 1/2” wide and 6” long for each bookmark. Then round the corners with a corner cutting punch. Use a hole punch to add a hole at the top. Once you’re done with the basic shape you can cut out words or phrases along with other matching shapes to create a fun bookmark. I like to layout the design and then go back and glue it with a glue stick. Now it’s time to laminate it! I usually run it through the machine twice just to make sure it’s perfect. I’m picky like that! Then I cut around each bookmark and punch the hole at the top again. Run a few strands of yarn or twine through the top hole and tie them together close to the bookmark. Now you have a custom handmade bookmark! What a fun project! You can tell I was having fun since I ended up making a big batch of bookmarks to share and a couple for myself! When you have beautiful paper to work with it’s easy to mix-and-match patterns. I hope you enjoy this simple and sweet back-to-school project! Thanks so much for letting me share my ideas today! She has this fun and easy Crochet Bow Pattern! And this DIY Beard Oil is such a great gift idea for the man in your life! 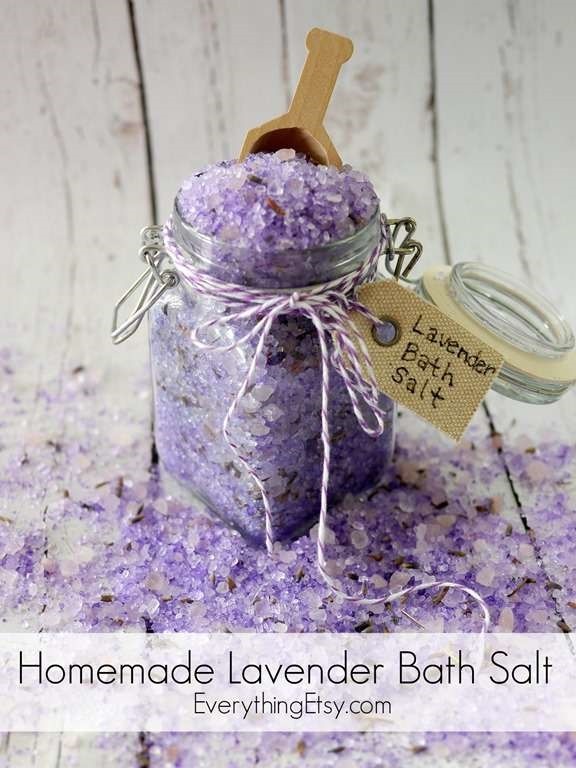 And, don’t forget to check out her Homemade Lavender Bath Salt! And if you’d like to try this project she shared today, you can find my Home + Made line at craft and hobby stores near you! Great Ideas — 18 Game Day Recipes! Great blog.. Great ideas and pictures… I always have problem with pictures and yours is wonderful. Excellent, what a weblog it is! This weblog gives helpful data to us, keep it up.